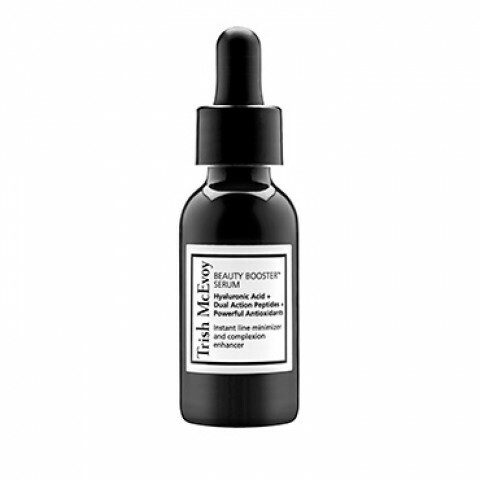 Trish McEvoy's Beauty Booster Serum is a revolutionary serum that contains 30% hyaluronic acid to enable skin to attract and retain maximal moisture while enhancing your moisturizer's performance. Dual-action peptides stimulate natural collagen production as antioxidants help protect skin from damaging free radicals. See an immediate improvement in the appearance of fine lines and overall look of your complexion. This regenerative formula can be worn alone or under your moisturizer. I was hesitant on buying this because it was expensive. I use it twice a day and I love it.